SILVER SPRING, MD – The Montgomery County Planning Department, part of The Maryland-National Capital Park and Planning Commission, briefed the County Council’s Planning, Housing and Economic Development (PHED) Committee on the first stage of the countywide Rental Housing Market Study at its meeting on Monday, November 28. RKG Associates, a consulting firm based in Alexandria, Virginia, conducted the research on behalf of the Montgomery County Planning Department and the Montgomery County Department of Housing and Community Affairs. As noted at the PHED session, rental housing accounts for about 30 percent of the housing supply in Montgomery County and is concentrated around Metro lines and employment centers. Most of the County’s supply consists of older units, with only 14 percent of rental units constructed later than 2000 (55 percent were built prior to 1980). Of all rental units in the county, including single-family attached and detached homes, 39 percent have three or more bedrooms, 32 percent have two bedrooms, 26 percent have one bedroom and 3 percent are one-room efficiencies. The age of the housing supply has helped create “naturally occurring” affordable units, with a large supply of units affordable to households earning between 50 percent and 100 percent of the County’s area median income, which is around $107,000. The renter population is more diverse in Montgomery County than in many other communities. This diversity is partly due to the transient nature of a regional economy that is often dependent on the federal government, which increases the demand for rental properties instead of traditional ownership households. Approximately 66 percent of renters in the county are older than age 35. More than 50 percent of renter households earn less than 100 percent of the area median income. Households earning less than 50 percent of AMI account for 38 percent of the demand for rental housing. The study also revealed that the rental market supply is unbalanced at the lowest and highest ends of the housing market. The market is short about 20,000 rental units for households earning less than 30 percent of area median income. As a result, 80 percent of households earning less than 30 percent of area median income are cost burdened. Of all renter households in the county, about 50 percent are cost burdened. The Montgomery County Council, recognizing the importance of housing issues for the future of the county, approved the two-year Rental Housing Study as part of the work program for the Maryland National Capital Park and Planning Commission (MNCPPC) and the Montgomery County Department of Housing and Community Affairs (DHCA). An interdepartmental project management team and a technical committee are working closely with the consultant team throughout the study. 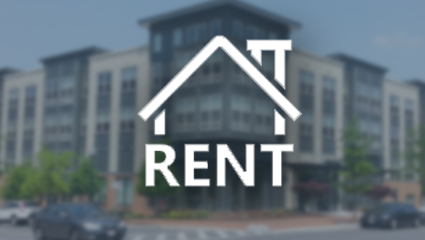 The purposes of the study are multifaceted, with an overarching goal to identify Montgomery County’s rental housing needs at all income and rent levels, and offer holistic and sustainable approaches to meeting them. During the first stage of the project, RKG Associates provided the Planning Department team with an overview of the data collected with respect to existing conditions, affordability conditions and rental housing supply and demand that provided an initial starting point for analysis and recommendations. Data collection, background research, neighborhood assessment, interviews and focus groups have now been completed. RKG Associates and the Planning Department team are currently exploring approaches to rental housing undertaken by other jurisdictions and analyzing best practices in rental housing policy. The Rental Housing Market Study is expected to be completed in early 2017. Additional information on the study is available online.